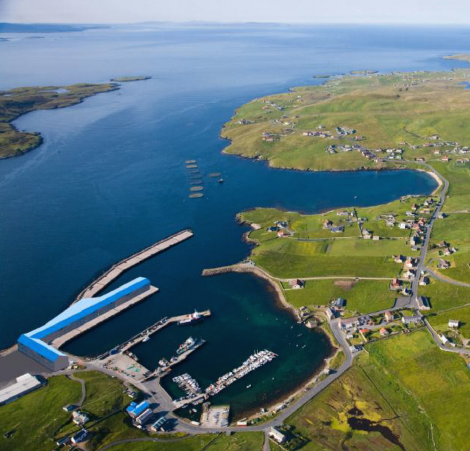 A MAJOR Norwegian company’s plans to build a fish processing plant on Whalsay are in doubt after councillors refused their request for a multi-million pound extension to the island’s harbour. Tromsø-based fishery group Nergård AS says the Shetland economy could benefit enormously from such inward investment, which islanders hope could lead to the construction of a tunnel to the isle. However Shetland Islands Council said spending that much money would be impossible in the current financial climate, and would raise issues around state aid and competition with existing businesses. In a report, completed in April last year but only published this month, development agency Highlands and Islands Enterprise say there is enough fish landed in Shetland to justify more processing facilities. However the report advises building any new factory in Lerwick rather than Whalsay. In 2012 almost 109,000 tonnes of pelagic fish and just over 15,000 tonnes of whitefish were caught in Shetland waters, it says. However only two per cent of the whitefish landed in Shetland is processed in the isles, while only 13 per cent of all pelagic fish caught by local vessels is landed at Shetland Catch. 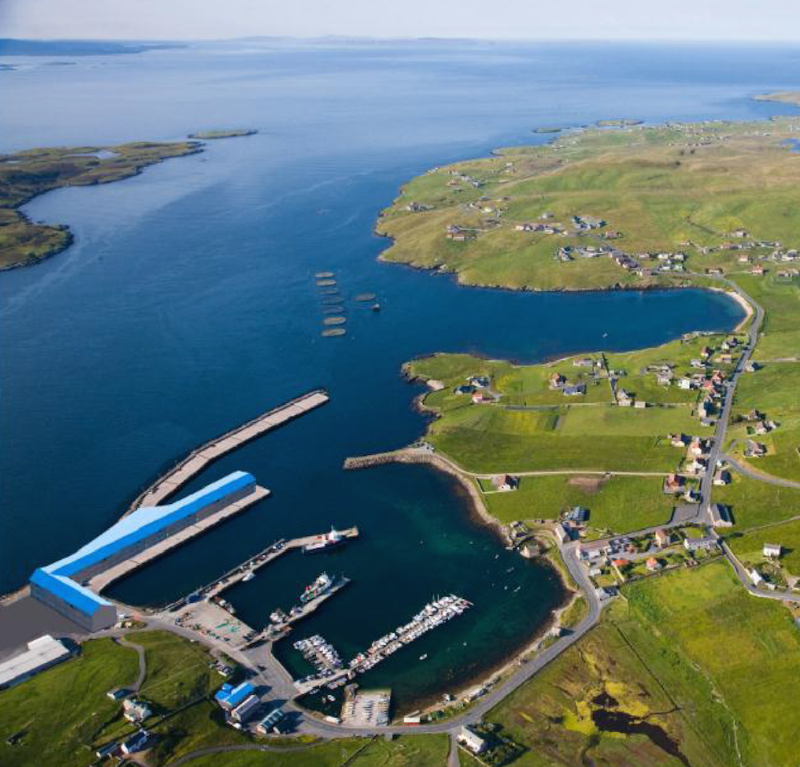 Nergård has drawn up plans to build a major pelagic and whitefish factory at Symbister that could process most of the pelagic and whitefish landed by Whalsay’s own fishing fleet. However this would require Symbister harbour to undergo a major extension costing between £20 and £40 million. Whalsay Community Council believes that building a new factory could trigger the construction of a fixed link connecting them to the Shetland mainland. Community council chairman David Hughson said a five kilometre tunnel would be cheaper than replacing and running the ferry service, while the spoil from the project could be used to build a breakwater for the harbour. But last month the SIC said it was not in a position to get involved in the current financial climate. Investing in extending harbour facilities to help one large developer would trigger state aid issues, according to development committee chairman Alastair Cooper. The SIC also raised concerns that a second pelagic fish factory in Shetland could create unwanted overcapacity. Hughson said councillors had overlooked the potential of landing mackerel and herring on a council-owned pier becoming a “big earner” for the local authority. Nergård AS chief executive Tommy Torvanger said politicians in Norway would give their right arm to help such a development. He said his company was constantly on the look out for “better sourcing of raw material”. Whalsay was the ideal place as it was close to the fishing grounds and home to the largest fleet of fishing boats and associated quota anywhere in northern Europe. “It seems to me that local fishermen are very keen to land their catch in Shetland or indeed in Whalsay. We are talking about tens of thousands of tonnes of mackerel,” he said. “On the one hand you have these very successful individuals running efficient companies, and on the other hand there is not even enough room in their home harbour to accommodate their vessels. It is a shame. “Fishing is a green industry, it is sustainable and it is forever – it is very sad that the authorities in Shetland are not considering the resources that this group of individuals has gathered and is running out of Whalsay. Cooper denied the SIC opposed the idea of a new fish factory in Whalsay. “There are certain classes of pelagic vessels that could use the existing Whalsay harbour facilities,” he said. Torvanger also rejected fears that a second pelagic fish factory would create unwanted overcapacity. He said that at the moment there was a “huge leakage” of raw material being landed outside Shetland. He added: “We have had a rude awakening in Norway over the last few months after the oil price hit a low of $30 for a barrel. “We have seen the fall of activities in the petroleum sector, but this also has created a lot of new interest in the fishing industry.